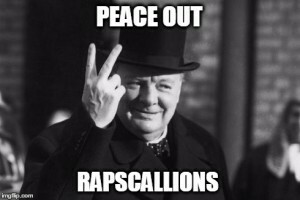 Sleep for Peace is back! What the hell is that I hear you cry?! Look no further for all the answers! In 1981 the United Nations unanimously established September 21st as the International Day of Peace. “Peace Day” gives everyone a specific time to commit to global peace and a chance to contribute to a huge variety of peace initiatives. The theme changes year to year, with the activities focusing on different groups who are suffering due to conflict, discrimination and terror. 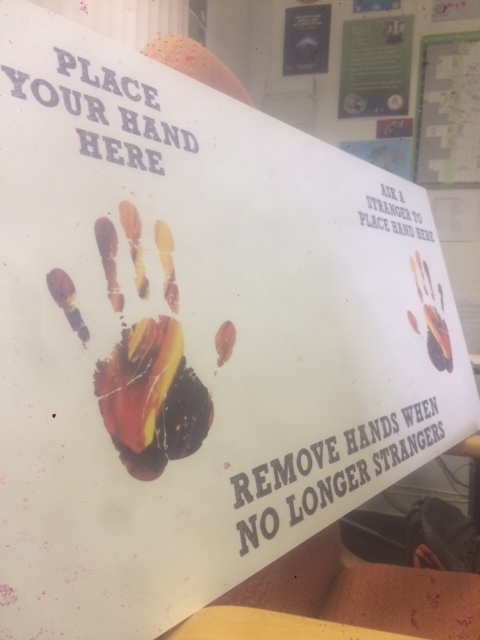 This year’s theme looks to encourage people around the globe to show support for refugees and migrants, people forced from their home due to, often horrific, conditions in their homelands. The day aims to remind people that not only do refugees and migrants need help and support but that they also contribute immensely to the society that shelters, protects and supports them. 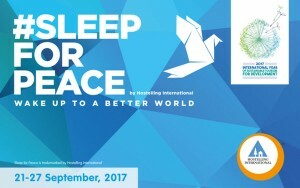 This theme is one that rings throughout Hostelling Internationals Sleep for Peace campaign! Sleep for Peace is designed to celebrate the part hosteling plays in fostering peace and understanding between people. HI-USA started the campaign in 2013 and it proved hugely popular among hostelers, quickly becoming a global campaign. When young people stay together, they learn from each other, grow to understand the differences between cultures and ultimately become more tolerant and open to people from different backgrounds or life styles. Sleep for Peace is a full week (21st – 27th September) devoted to celebrating one of the best parts of hosteling, interacting with new and interesting people! Hostels, and hostelers, throughout the HI network will celebrate Sleep for Peace in hundreds of different ways through the week. 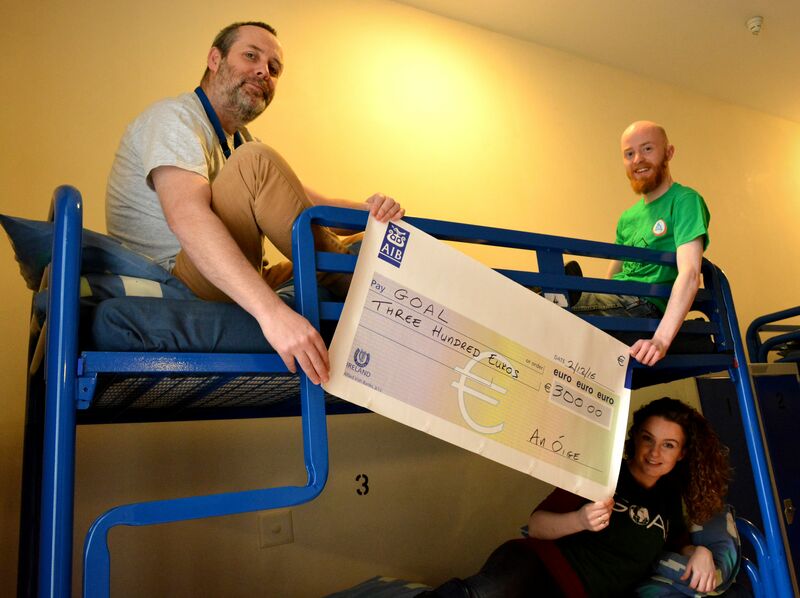 This year An Óige has 17 hostels taking part with each hostel putting its own individual spin on the celebrations! Each of the hostels will have a “Hand Board” erected somewhere in the hostel. An idea coined by our colleagues in Belgium, these boards are designed to get strangers staying together to talk to each other, so don’t be shy! You will also be able to pick up your free Sleep for Peace postcards at the hostels. A super simple way to spread the word about Sleep for Peace and let everyone at home know you’re still alive and enjoying a peaceful trip! 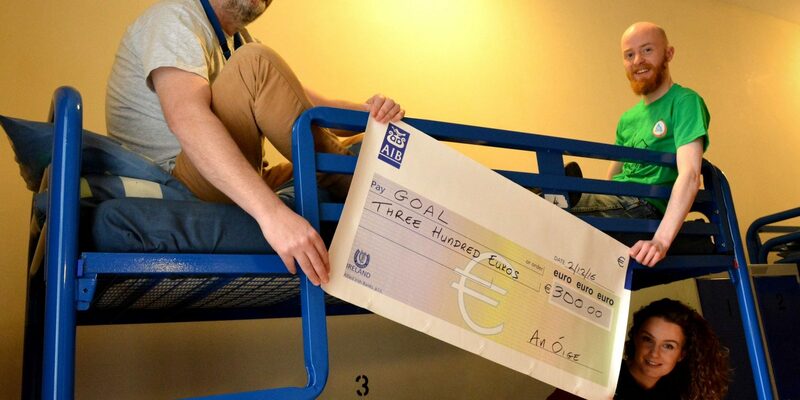 This year An Óige has once more teamed up with the international aid charity, GOAL, to help raise money for those who have had their lives turned upside down due to conflicts. Last year our guests raised €300 for Syrian refugees and this year donation boxes will be present in the receptions of all the hostels taking part! 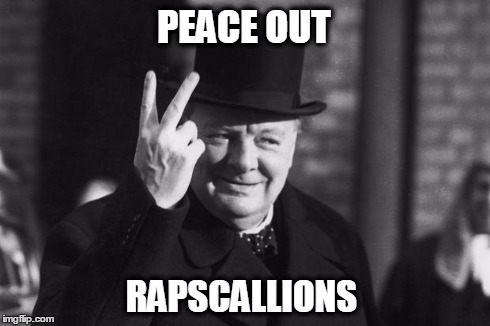 You can also donate to specific funds, through GOAL’s website, here! Our second charity partner for this event is Eolas Soiléir, who will be leading two full days of peace workshops for schools taking part in our Give Us A Break Programme: Sleep for Peace edition. Our aim to give young people the chance to develop an open minded and humanitarian approach to conflicts around the world and at home! GOAL will also be providing talks, one to a school staying in our Knockree Hostel, and one in Dublin International hostel (22nd September). Hostels guests, local schools and members of the public are welcome to come and listen to all the fantastic work GOAL does around for those in need! For more information on the Dublin talk, Sleep for Peace related questions or any questions on our programmes, you can contact programmes@anoige.ie. To find out more about the work we do with young people in hostels, sign up for our newsletter.